Riley Blake Designs "Colorfully Creative" by Crayola. 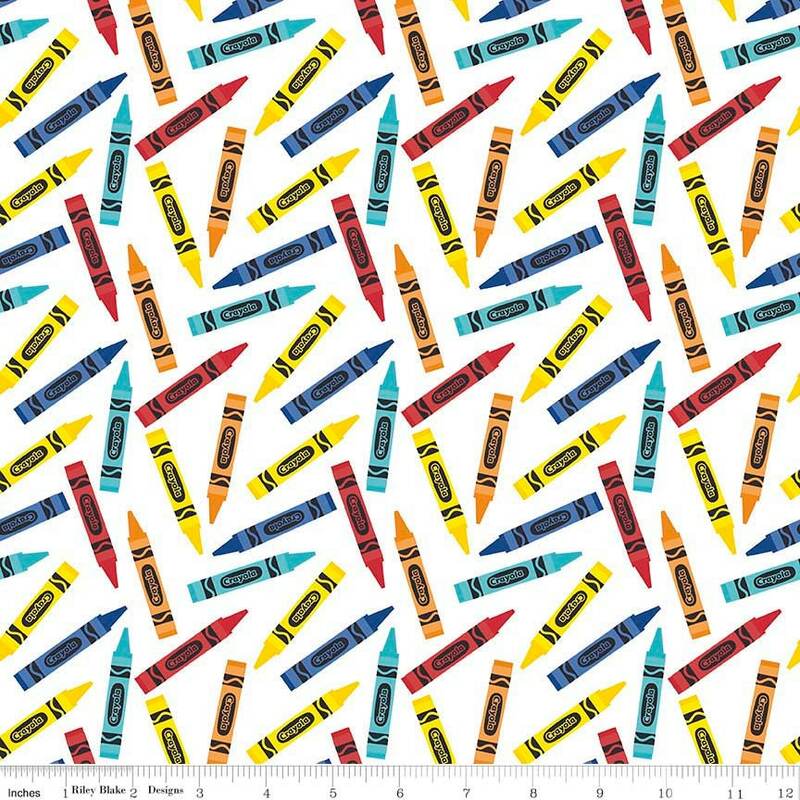 100% cotton, pattern C5403 White - Crayon. ordered more of this fabric because I love it so much. Once again super fast shipping! Just as pictured and fast shipping! I absolutely love this fabric. Seller was prompt and fast shipping.